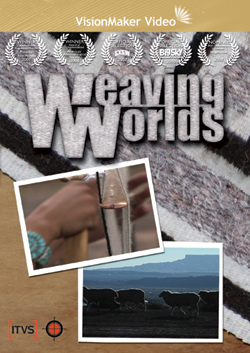 In this compelling and intimate portrait of economic and cultural survival through art, Navajo filmmaker Bennie Klain takes viewers into the world of contemporary Navajo weavers and their struggles for self-sufficiency. 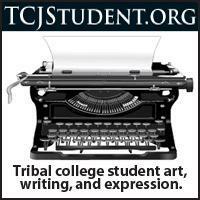 Highlighting untold stories and colorful characters involved in the making and selling of Navajo rugs, Weaving Worlds explores the lives of Navajo artisans and their unique--and often controversial--relationship with Reservation traders. 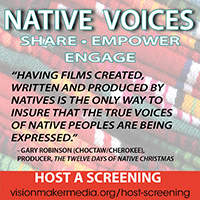 The film artfully relates the Navajo concepts of kinship and reciprocity with the human and cultural connections to sheep, wool, water and the land, showing how indigenous artisans strive for cultural vitality and environmental sustainability in the face of globalization by "reweaving the world."